What is loyalty? Loyalty is words combined with actions. It is devotion tested by time. It is steadfast security that grows from a most prized character quality. Theodore Roosevelt said, "It is better to be faithful than famous." American author Elbert Hubbard agreed: "If put to a pinch, an ounce of loyalty is worth a pound of cleverness." Relationally, loyalty builds trust, security, affection, and the ability to thrive. 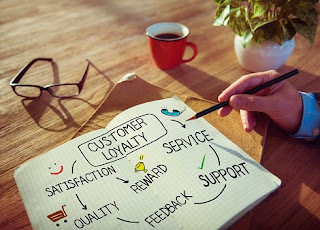 The same is true professionally - only as we build loyal customers and employees will we begin to see business prosper and flourish to its fullest potential. So how can you grow something so intangible, yet so critical, to the foundation of your organization? Cultivate Loyalty. Being so focused on bringing prospects through the front door, sometimes, you can forget about those going out the back. Enduring connections happen when you urge your clients and employees to stay the course by encouraging them to renew their commitments and helping them VALUE what is VALUABLE. Celebrate Loyalty. This can be as simple as a Christmas card or as heartfelt as a personal phone call. As a company, be sure to set tangible goals and conspicuously celebrate the progress that's been made. Look for strategic ways to cast vision, gather testimonies, craft impact pieces, and honor important milestones. Creatively appreciate your clients and co-workers, and publicly commemorate a job well done! Reward Loyalty. According to the book Marketing Metrics, the probability of selling to an existing customer is 60-70 percent, and they typically spend 67 percent more than first-time clients. Additionally, persuasive personal recommendations are most likely to flow from your base. What are you doing to reward that devotion? Aren't your most valuable clients or employees worth a little extra expense? Consider personalized incentives, tailored service packages, or preferential terms, discounts, or benefits. Give these influencers personal access to your leadership and go the distance to meet and exceed their expectations. Don't forget, authentic personal relationships are a powerful motivator.